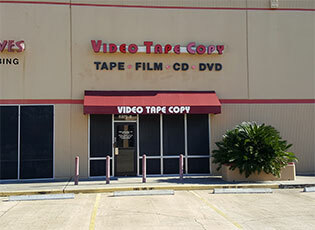 We are a full service video and audio transfer company servicing the Houston area for over 30 years. We can convert any tape into any digital format. We also specialize in High Resolution Film Transfers of 8mm and 16mm film and 35mm slides. We do not use consumer grade single chassis VHS – DVD combo units used by many of our competitors. All of our machines are Professional Grade VCRs. This is very important when playing LP VHS tapes as the consumer machines cannot play these problematic tapes nearly as well as a Pro machine. We offer a wide range of video and audio services including transferring VHS tapes, all formats of camcorder tapes such as BetaMax, 8mm, Hi-8 and Digital 8, VHS-C and Mini-DV tapes to DVD, Blu ray, MP4, USB or any other type of data file. We can also transfer Reel to reel audio and audio cassette to CD or digital file. Professional tape formats we can transfer includes BetaCam, DVCAM, DVC Pro, HD mini DV and 3/4 inch video. All of our machines are kept updated and maintained to ensure the best possible picture quality for your transfers. Our pricing for the quality of work we do is outstanding. We have excellent relationships with all of our customers and treat every single person who walks into our store with the utmost courtesy and respect. If you have any questions concerning your tapes please call us or come by our store and we will be happy to explain in detail the process and pricing of our services. 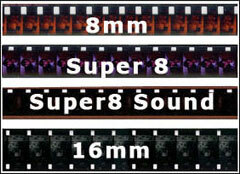 We can transfer 8mm, Super 8mm Silent or Super 8mm with Sound 16mm Silent or 16mm with Sound film to DVD, Blu ray, HD MP4 or any other digital file.